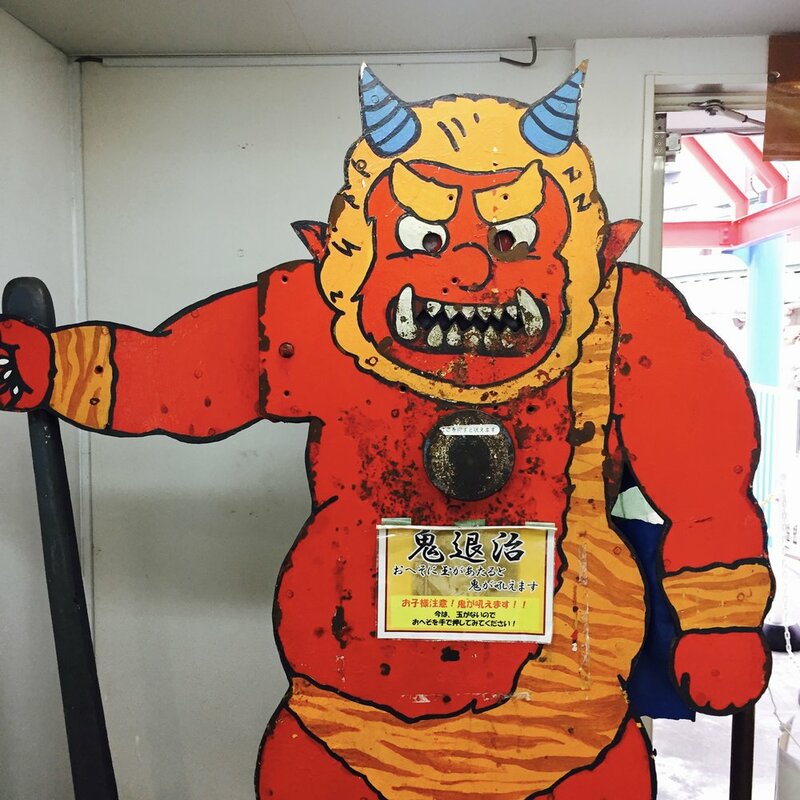 Theres not much to say about the Tokyo Fire Museum apart from ITS AWESOME! It has free entry and 6 floors of exhibits. There are a myriad of different things to do including checking out a bunch of different fire vehicles, history of the fire department, some awesome interactive things for the kids, being able to sit in a helicopter and a fire engine, being able to dress up in fire fighter gear and on one of the floors there was a little quiet play area with books and a bunch of rescue vehicles to play with. Win's all round for my fire fighter obsessed son. Also a short walk (not even 5 mins!) from here is the Anpanman Store. Don't know Anpanman? He is a superhero. Of the pastry kind. All his counter parts are some kind of baked good, its weird and wonderful and my son became obsessed while on our trip! The store is chock-a-block with weird and whacky toys, and there is a play space in the centre for the kids to test run the goods. Our kiddo could have stayed here all day!! 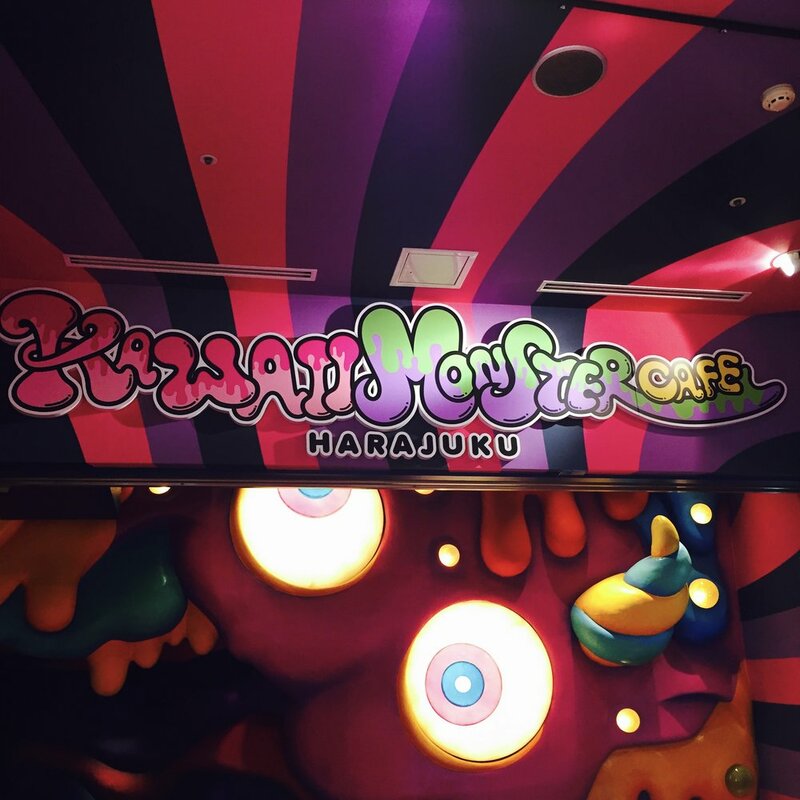 Kawaii Monster Cafe was pretty wicked. It was the kiddos top pick of the trip (how could it not be with all those bright colours?!) and he absolutely loved it! It was quirky and fun. 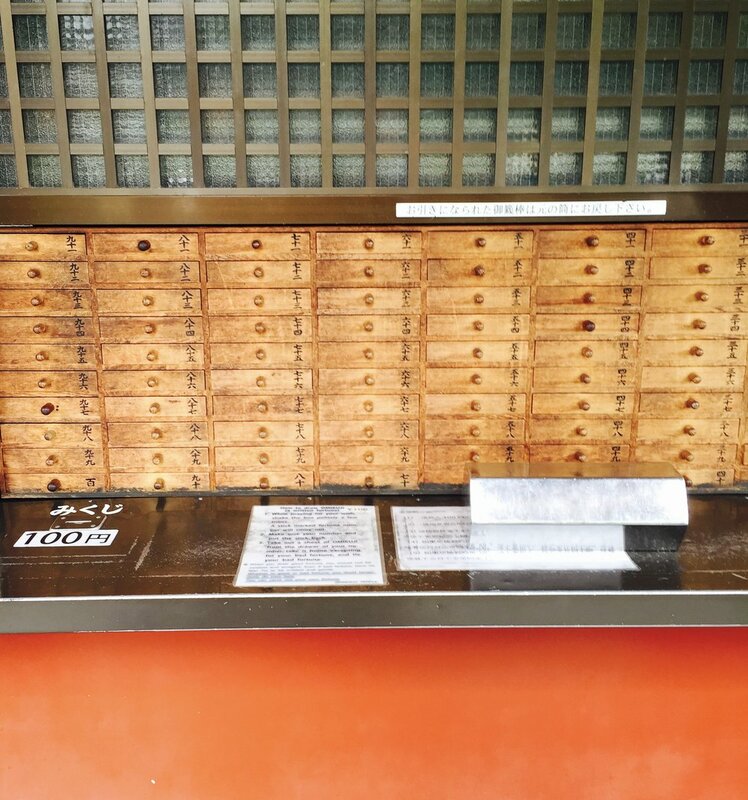 It has a 500YEN entrance fee and you're expected to buy some food and drink for each person there. 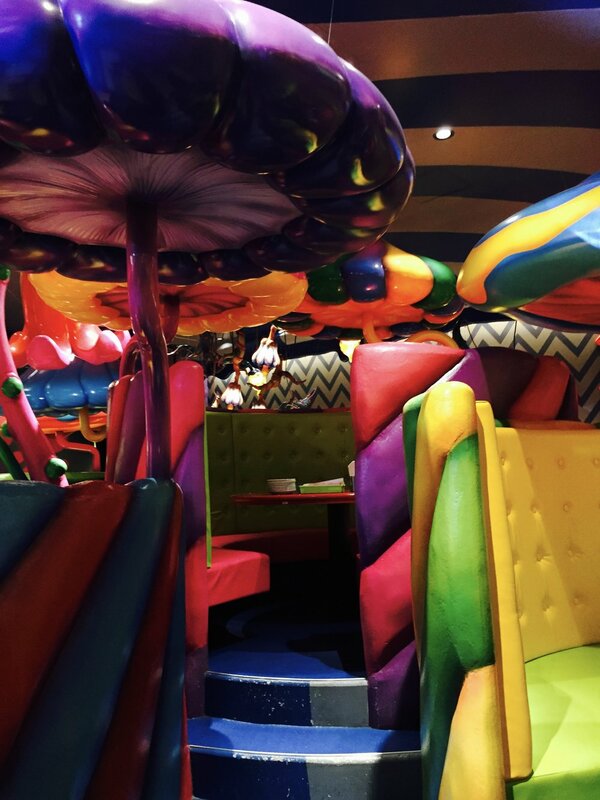 The food is ordinary but fun and very colourful! The teriyaki chicken wasn't bad if you're not feeling colour adventurous! If you buy a lollipop (that lights up) for 700YEN or there abouts, you have an opportunity to get up on the stage with the 'monsters' after their show and get a pic with them. It was pretty fun. Harajuku was a bright and bubbly place. Pretty perfect for a kid, lots of yummo fun things to eat and bright colours and signs etc everywhere. Takeshita street was good albeit crowded (as expected), and once the kiddo was asleep walking through the back streets was awesome. If you want something to do thats off the beaten track a little, here is the first day we had in Tokyo, exploring around our hotel! If you are not in the area, Kagurazaka Station is the closest stop. 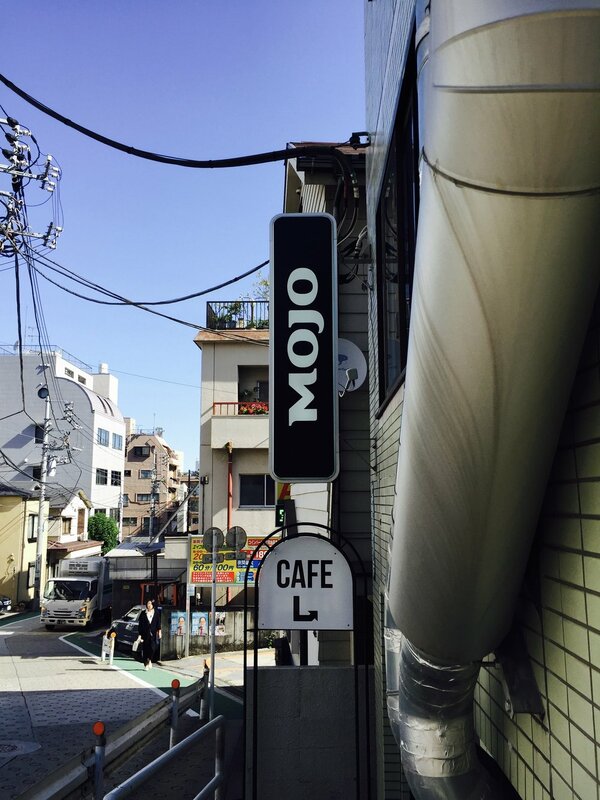 We started at Mojo Coffee Kagurazaka for the best coffee we had in Tokyo! This is if you are used to Melbourne espresso type coffee. Also they had baby chinos WITH MARSHMELLOWS so it was kind of a god send for us. They have two other locations in Tokyo as well! From here we went on a mission in the back streets to find the 'Elephant Park' which is actually called Akagi Amusement Park. It was AWESOME. So unique and different and we had such a ball here! Walking around the back streets was very different to what it's like in Melbourne, for starters there generally isn't a footpath! Unless its a relatively main road, you are sharing the road with cars and bikes, so be switched on! This also means you will probably have to have your kid/s in a pram or strapped on to you for the most part. Its all part of the adventure! 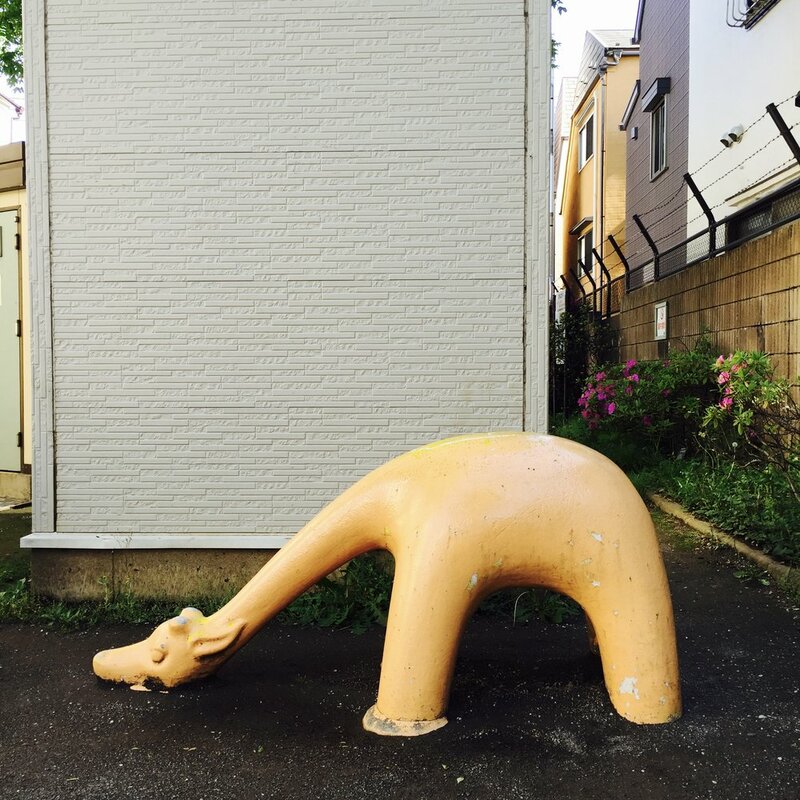 Its a 25 min walk to Tokyo dome from Akagi Amusement Park, which isn't ridiculous if you've got the kiddos in a pram! You can catch a train from Kagurazaka Station but you're still doing a fair bit of walking on the other side to get to Tokyo Dome. We mostly chose to walk during the days in between places if it was viable, and it was great to see parts of Tokyo we wouldn't usually get to see! Tokyo Dome City is pretty spread out and I found it a bit hard to understand the layout, but the main area is impossible to miss as it has the Thunder Dolphin wrapped around it (a rollercoaster that goes 130k/hr...!!!) You can freely walk around the area, if you want tickets for rides there are ticket booths or vending machines. There is an area that is made for smaller kiddos that has an awesome interactive water feature that our kiddo LOVED and would be perfect for an afternoon in summer (please note - there wasn't shade over the water feature area but trees off to the side). There is also ASOBono! which is an indoor play centre at Tokyo Dome that we didn't end up getting to, but looks amazing if you want some indoor play centre fun. 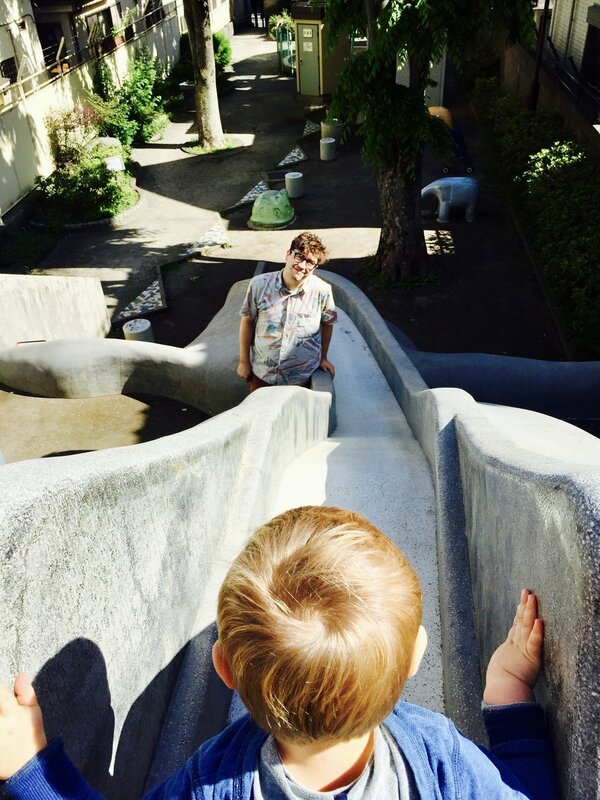 A great place to spend an afternoon, especially if you have kids of different ages to please! There are a bunch of different restaurants and shops as well as a supermarket that has the equivalent to wheatbix that absolutely saved us (kiddo breakfast wise) for the first few days in Tokyo! If you were just going to choose one temple to visit in Tokyo, my pick would be Senso-ji Temple. You get the craziness of the Nakamise Dori (oldest shopping strip in Tokyo) leading up to the temple, the sheer magnitude of this grand temple and some pretty lovely grounds to explore around the temple. We did our fortunes which was fun, and for the kid there was a pond with large fish, lots of space to run around and lots of yummy snacks like motchi strawberries and Melonpan! 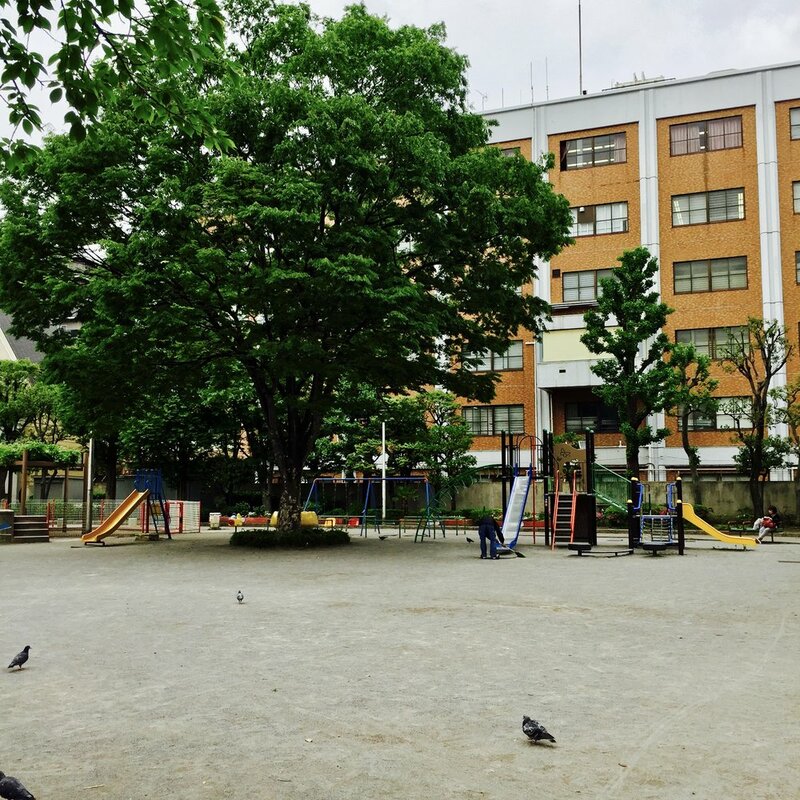 A few blocks north of the temple is FUJI park with was an EXCELLENT park! 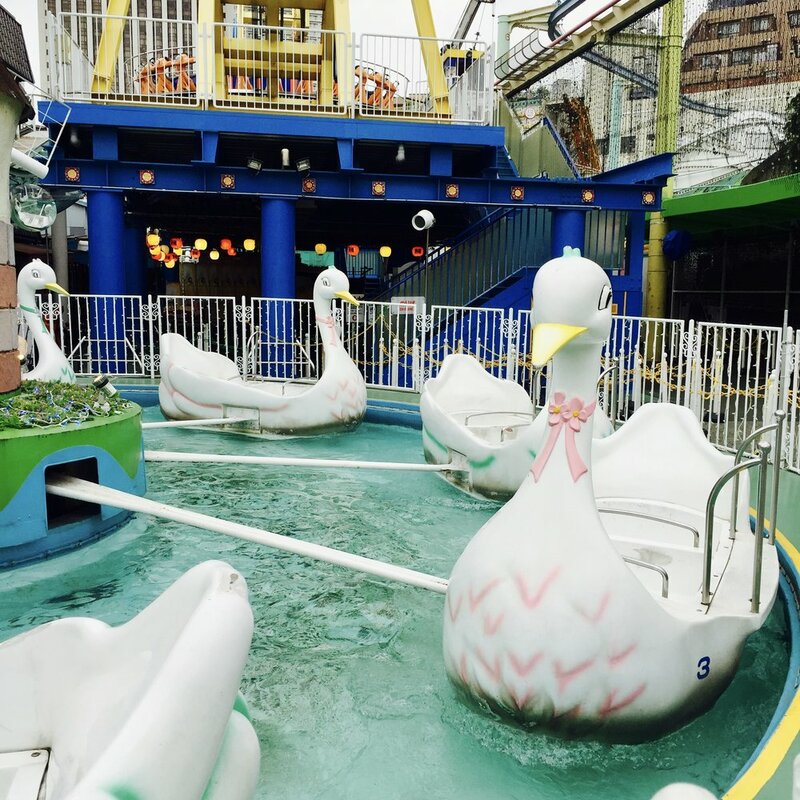 Also close to Senso-ji is Hanayashiki the oldest amusement park in Tokyo. 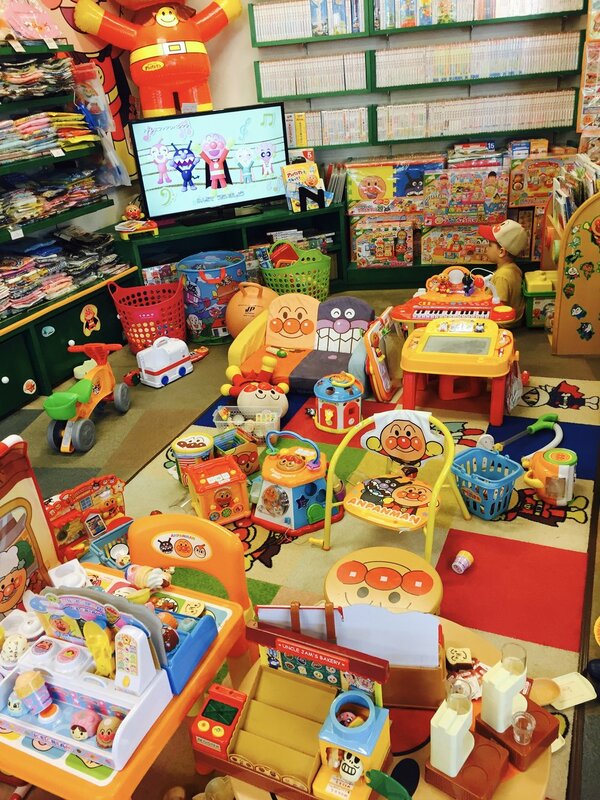 It was 1000 YEN to enter (free for small kiddos) and it was kitschy as hell! 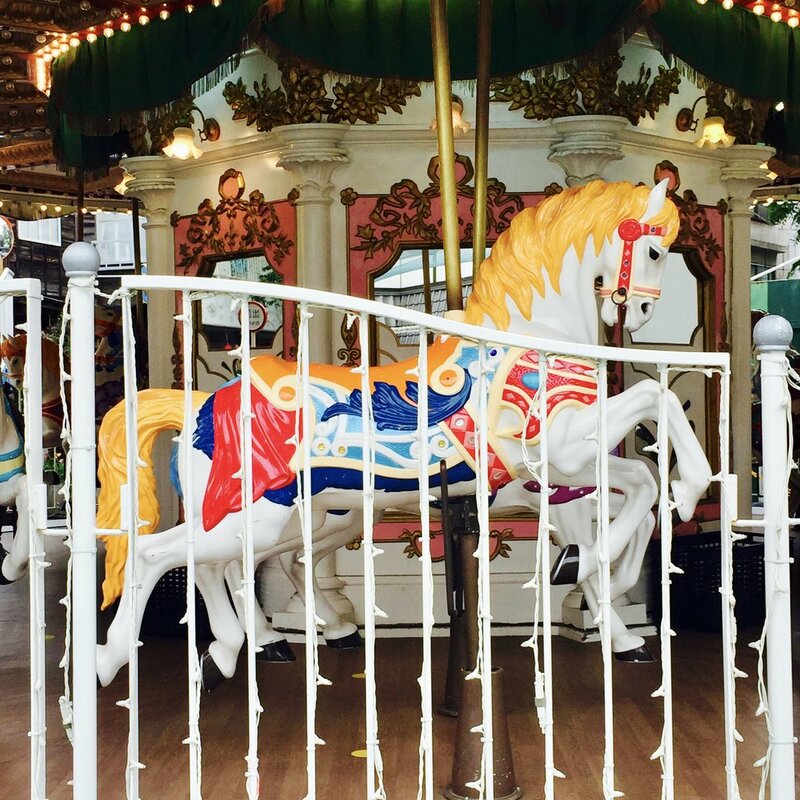 They aren't shy to show the 'oldness' of this amusement park but I loved walking around and taking photos. I went sans fam bam while they were playing in Fuji park and although there were some things the kid would have loved, there were a lot of rides that were closed and I'm glad it was a solo mission to get a bunch of fun and funny photos. I also went on a ride that I honestly thought could be the end of me all together. The thrill of amusement park rides, eh?! I did Shibuya by myself and it was pretty overwhelming with the amount of people in the area, it was so busy!! I'm sure you could find a million things to do, you would just need to research a bit or take time to really explore the area. One thing that I did that I would have loved to take my son to was Shibuya 101 on the 7th floor. They have Purikura at Moreru Mignon! It was fun but would be much more fun with someone else! I went to Tokyo Hands and I did the crossing scramble. It was fun for a short trip and would be excellent for a spot of shopping! If I was there for much longer I could see myself getting overwhelmed with how busy it was, especially if I had a toddler with me! I had another sans family outing to Sunshine City which would be great for shopping. It’s huge. I went to check out Sky Circus and ended up going to the Aquarium too. Both would be great to explore with kids. The aquarium had an entry fee as did Sky Circus, with option to do virtual reality at an additional cost. Make sure you book a time and pay before you line up!! We did Shimo with the kid and it wasn't the easiest. There are lots of fun places to go to and explore, but not a lot of park space which the kiddo needs and not a lot of action before 10/11am. We did find one of the best coffee places in Tokyo here - Frankie Melbourne Espresso and they have a B Side label sticker shop and a bunch of second hand/vintage shops etc. It was an awesome place to hang out, just a little more work with kiddo in tow. Obviously Disney is right at the top of so many peoples list! We felt that the kiddo was just too young. All those lines for rides and crowds. And the enjoyment of a day is still so very much determined by the mood of the kid. We thought to leave this for the net trip, when the kiddo is more able to enjoy and remember the magic that is Disney!